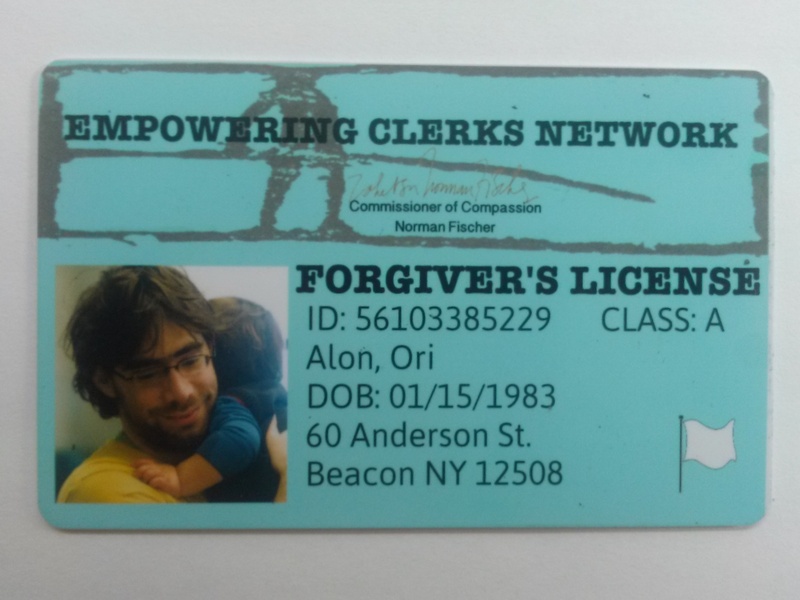 The Center for Supportive Bureaucracy recently launched the Forgiver’s License project. You may apply by filling form 601(c) – the Compassion Exam below. If you’re found eligible to forgive others (Class B license) or others and yourself (Class A license) our regional EPF (Empowerment Processing Facility) will issue you a Forgiver’s License and an e-license according to your compassion status. The website contains many forms and ebooks as Scribd documents. For reading them on your mobile device, please download the Scribd app, or download them as a PDF files on your desktop and send them to your mobile device. 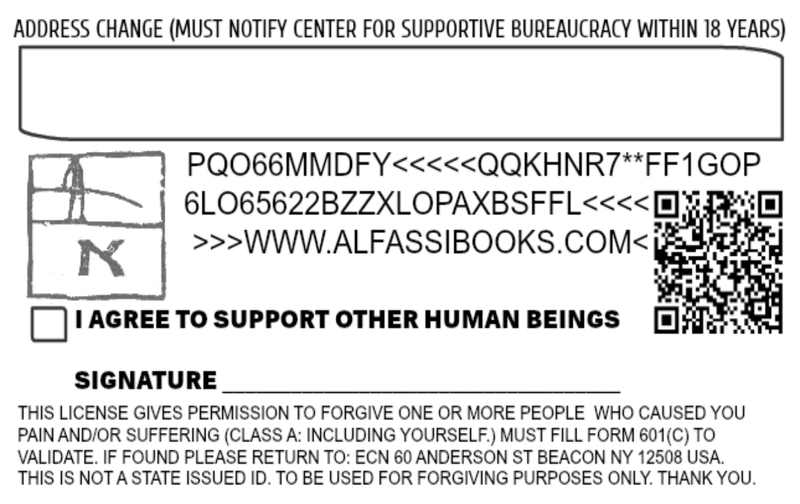 APPLICATIONS FOR FORGIVER’S LICENSE: Please download form 601(c) here and either print & fill & send to ECN (attn: Processing), 60 Anderson St., Beacon NY 12508 or fill it up using Adobe Reader or online for free using www.pdfescape.com and send it to alfassibooks@gmail.com with a photo of you. Please note: According to ECN (Empowering Clerks Network) new regulations applicants may use a photo of themselves with children or pets or of themselves as children. In addition to that, applicants may choose to use “Forever Young” status instead of DOB.